Investigators examined the role of miR-17 in the expression of liver kinase protein (LKB1) and the downstream effects on proliferation and invasion capacity of normal ovarian cancer cells and ovarian stem cells. 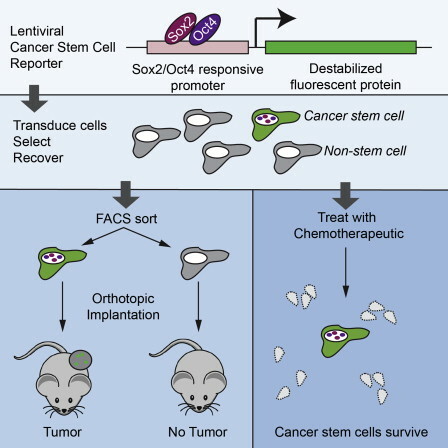 Researchers developed a flexible lentiviral-based reporter system that allows direct visualization of cancer stem cells based on functional properties. The reporter responds to the core stem cell transcription factors OCT4 and SOX2, with further selectivity and kinetic resolution coming from use of a proteasome-targeting degron.